Ron Regan, Executive Director, Association of Fish and Wildlife Agencies. Speaker will cover the history of the Migratory Bird Treaty Act, the threats and opportunities facing the future of conservation and how bird conservation has served both as a canary in the coal mine and an effective catalyst for present and future conservation efforts. The Beginnings of the Migratory Bird Treaty Act: A Loss for Missouri Equals a Historic Win for Conservation. Andy Raedeke, MDC Resource Scientist. Improvements in the Environmental Analysis and Decision Making process with the USFS. A history of how this administrative process has evolved with unintended consequences, suggested improvements, what these improvements could mean, and how we can advocate to promote these needed adjustments to improve our ability to more effectively manage USFS lands. Theresa Davidson Forest Wildlife Program Manager, Mark Twain National Forest. Proposed Changes to the Farm Bill. A history of the evolution of the conservation title of the Farm Bill, key programs within it, proposed future improvements, and how to advocate for support of these critical programs. Lauren Cartwright, Environmental Quality Incentive Program Coordinator and acting Assistant State Conservationist of Programs for the Natural Resources Conservation Service. The “new way” to manage for quail. Recent evidence indicates that “traditional” quail management is showing significantly poorer results in boosting quail populations than currently accepted prairie management techniques. Kyle Hedges and Frank Loncarich Missouri Department of Conservation Wildlife Management Biologists. History of Change at Big Muddy National Wildlife Refuge. How the 1993 and 1995 floods changed a significant portion of Missouri’s important landscape. Anna Weyers, Wildlife Refuge Specialist Big Muddy National Fish & Wildlife Refuge. 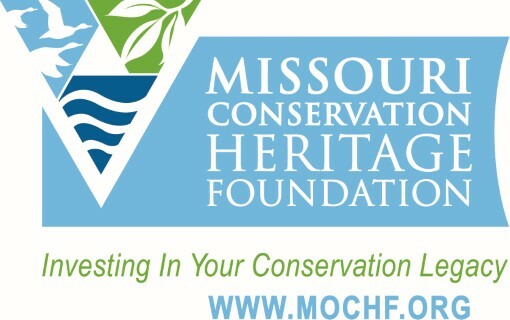 An update on the Migratory Bird Action Team and other Missouri Conservation Heritage Foundation programs and initiatives. Kevin Roper, Executive Director of Missouri Conservation Heritage Foundation. 12:30pm– 2:00 pm 3, 20-Minute presentations on existing and future changes that are or could significantly impact bird conservation. Motus Wildlife Tracking System in Missouri. Advances in technology are changing the way we track birds and their migrations. The Motus Wildlife Tracking System provides a rare opportunity for birding organizations and agencies to directly support research and for researchers to learn more about birds that use Missouri during migration and hone in on where they go during the winter. Sarah Kendrick Missouri Department of Conservation State Ornithologist. Recovering America’s Wildlife Act. Details behind a potentially significant addition to dedicated funding for conservation and what we can do to ensure its successful passage. Ron Regan, Executive Director Association of Fish and Wildlife Agencies. Monarch Management Efforts. Speaker will cover the connectivity to bird management, what has been accomplished as well as what is planned. Monarch Working Group. Hosted by MoBCI partner Columbia Audubon Society. If interested, meet the group at Katy Trail parking lot (trailhead at McBaine). Bring your own drinking water and snacks. The simplest way to reach Peachtree Catering is to take the westbound Grindstone Parkway/AC Road exit off Highway 63. Follow Grindstone west across Providence Road (Hwy 163) where it becomes E. Nifong Boulevard. Make a left on Monterey Drive. Peachtree Catering is the very last unit at the southeast end of Peachtree Plaza. Peachree Catering does not have overnight accommodations so the conference attendees are encouraged to book their own rooms, in advance, at a facility of their choice. Columbia has a wide selection of hotels and motels within a short distance of the Peachtree.